- FrancesCassandra: UK fashion, beauty and lifestyle blog. 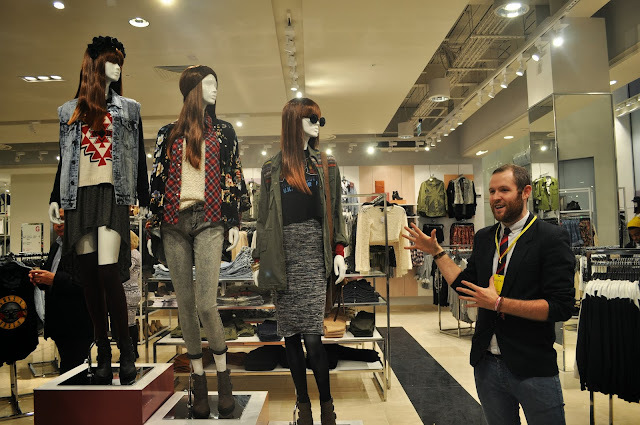 : Event: Forever 21, Liverpool: The Grand Opening! So, last week finally brought along the opening of the new Forever 21 store in Liverpool. I mentioned in my previous post how I had been waiting for this since it was announced last year, and I could hardly contain my excitement as I trotted along to the press preview on Thursday evening and saw the building all complete with lights on, stylishly dressed mannequins in the windows and a giant "Forever 21" sign making the new three story store quite difficult to miss. Only the ground floor was open to look at during the press preview, but this was definitely enough to give us a taste of what Forever 21 has to offer. 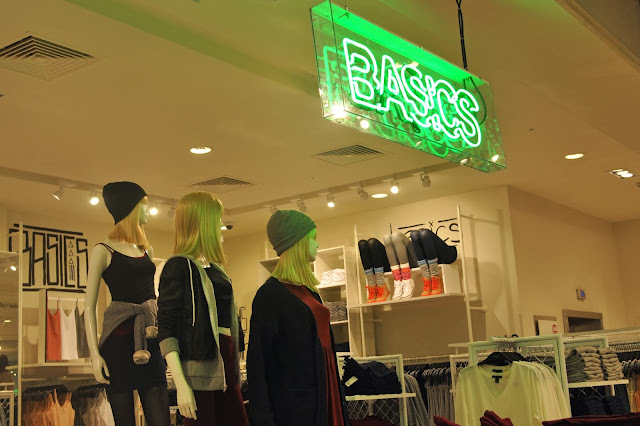 We were given a tour around the shop and were told about the mannequins that represented the F21 "girl"; a fashionista in her early 20s who is fresh out of university and isn't afraid to dress for however she is feeling. 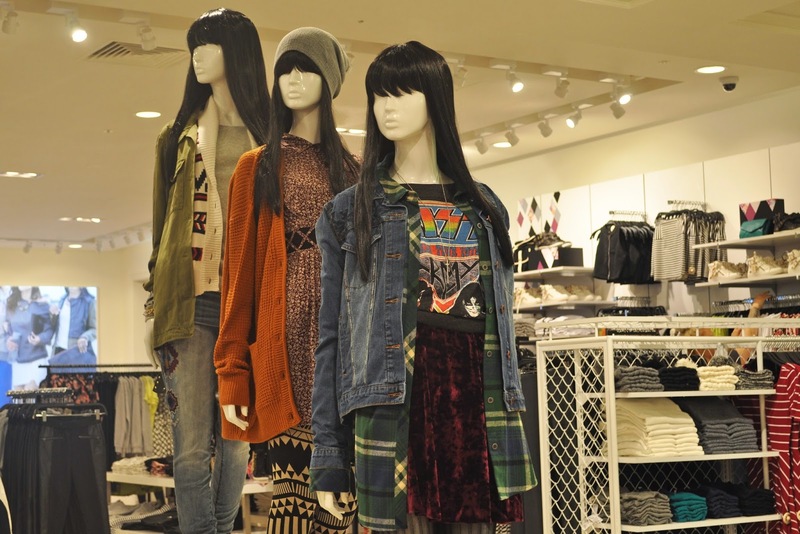 Around the store we could see her dressed in floral kimonos and khaki jackets for that festival feel and also showing some attitude in black and gold checkered leggings and monochrome bomber jackets inspired by the likes of Rihanna and Rita Ora. For the more chilled out days, she was still looking trendy in basics which are reminiscent of American Apparel but without that hefty American Apparel price tag- £2 vest tops, £11.50 skater dresses and £10.50 bodysuits? 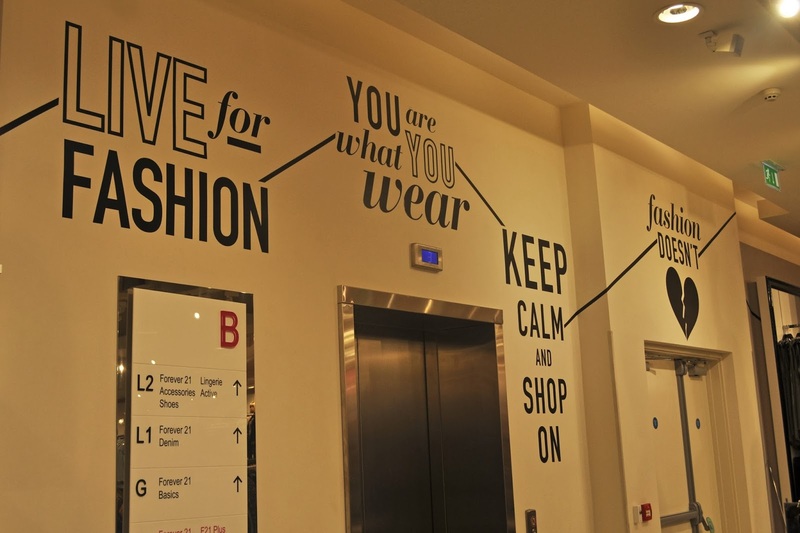 Move over, Primark! 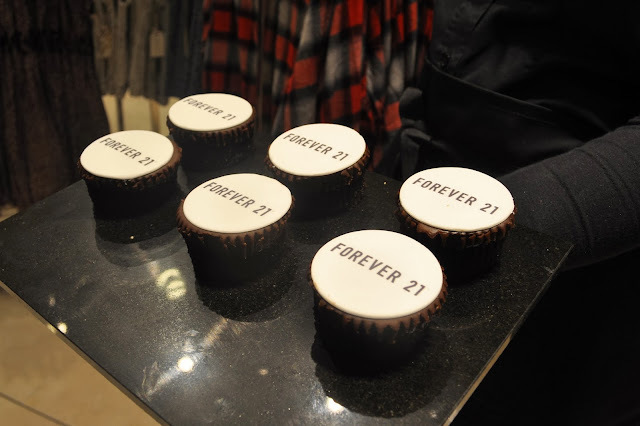 The staff were super friendly and were on hand to show us where to find certain pieces, asking us if we had ever experienced Forever 21 before and we were even offered multiple glasses of Prosecco, yummy canapes and chocolate cupcakes which were fittingly completed with Forever 21 icing. I also had the chance to roam around the shop floor and make a cheeky purchase prior to the official opening- Haul post to follow soon! On Saturday morning I headed back down to Forever 21 donning some of my new purchases to find the store absolutely packed with shoppers despite only being open for around an hour! The queues to the till area were at least 50 people long but everybody seemed to be waiting patiently to make their first F21 purchases and were kept entertained by a stellar performance by the gorgeous A*M*E, and the DJ who got the music spot on all day! I found myself dancing away as I co-hosted the Layer Laydown competition alongside the lovely Jade and Tara from The Style Rawr and helped customers style together outfits for the chance to win £1,000 to spend in-store! Check out the #Forever21Liverpool and #F21LayerLaydown hashtags on Instagram and Twitter to see some of the fabulous outfits that people put together- they don't say that Liverpool is one of the most on-trend cities for nothing! The grand opening of Forever 21 Liverpool was a great success and it was reported that there was around 10,000 visits within three hours of the store being opened, making it one of the biggest Forever 21 launches in the UK- I even spoke to a few girls who had been waiting outside the store from as early as 6AM to ensure that they got their free gift card- dedication right there! There are plenty more things that I spotted and have my eye on in store so I think a few more trips are in order soon- I just can't get enough! 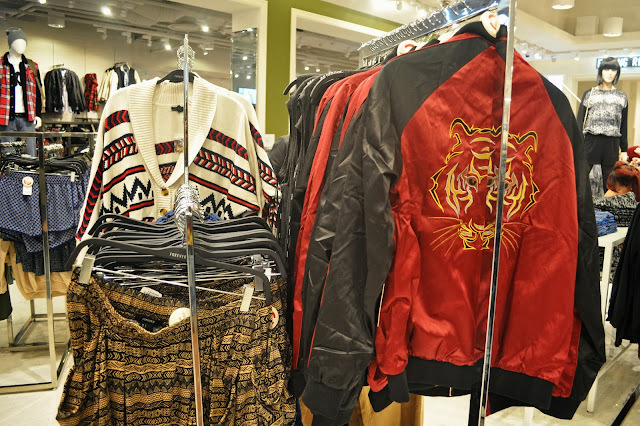 Don't forget that if a store hasn't hit your city yet, you can still get your F21 fix online at their website. 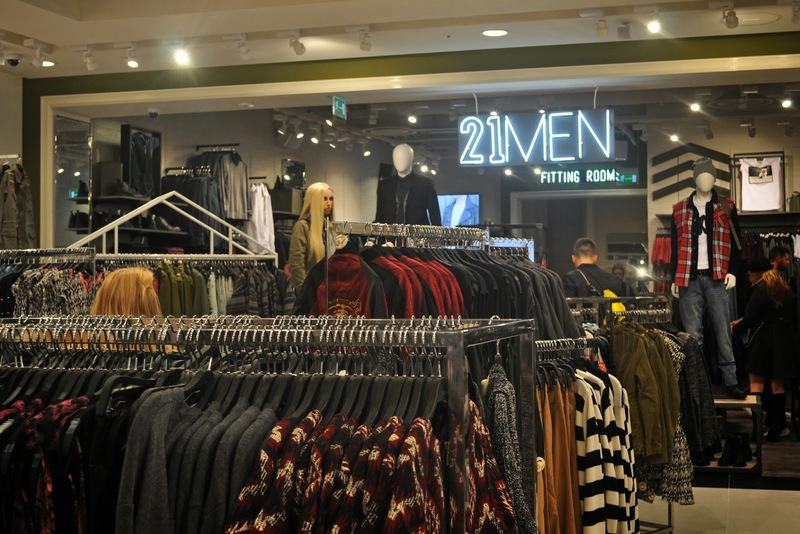 Have you check out the new Forever 21 store in Liverpool yet? What F21 pieces do you have your eye on? Ooh how fab! 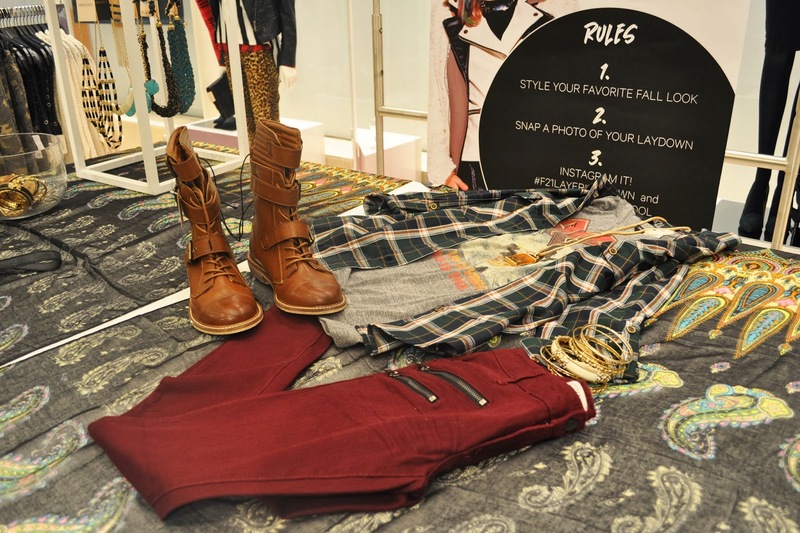 I love forever 21 I went to the one in New York and it was amazing!